On 31 October 2014, the Presnenskiy District Court in Moscow dismissed the complaint lodged by Tatyana Shikhmuradova, the wife of Boris Sikhmuradov who is imprisoned for life in Turkmenistan. Mrs. Shikhmuradova lodged a lawsuit against the foreign affairs ministry of Russia, which has applied no effort over the last 12 years to find out about her husband’s fate. The most shocking event for Mrs. Shikhmuradova at the court was the foreign ministry representative’s claim that Mr. Shikhmuradov is not a citizen of Russia. 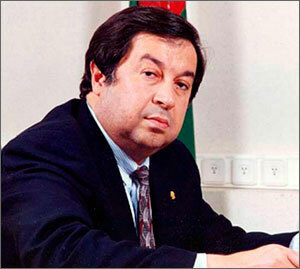 Boris Shikhmuradov, a former minister of foreign affairs of Turkmenistan, was convicted for life-long imprisonment in December 2002. Mr. Shikhmuradov was charged with an attempt on then-Turkmen President Saparmurat Niyazov’s life and an attempt to stage coup d’état. The alleged attempt on the life of the head of state led to subsequent mass arrests: over 60 people were convicted (of those, five were convicted for life) and 56 were declared traitors between December 2002 and January 2003. The entire world watched late December 2002 how nonsensical and cruel the Turkmen “justice” is. The Khalk Maslakhaty (The Popular Council) with the participation of then-President Niyazov was broadcast live. Boris Shikhmuradov’s “confession” was shown on a screen in the council room. Mr. Shikhmuradov was shown saying, “Living in Russia, we used narcotics substances and recruited mercenaries for terrorist acts while we were intoxicated… We are an organized criminal group and we are a mafia. There is no single sane person among us. We all are nothingness.” The Turkmen “people” demanded their execution, but the Supreme Court convicted Mr. Shikhmuradov to imprisonment for life. Leonid Komarovski, a US citizen, was arrested under the same attempt on life and America was later able to get him out of Turkmen prison. In an interview several months later, Mr. Komarovski talked about torture and injections of psychotropic substances, which make the subject forget what they say. Twelve years elapsed since then and neither Mr. Shikhmuradov’s family nor lawyers nor international observers are able to obtain information about his current status, or whereabouts and statuses of other convicts in the case. Asghabat remains deaf and mute. Tatyana Shikhmuradova speaks: “Lots of different rumors reached us over the [12 years]: ‘Boris was no longer in Turkmenistan; he has been in Russia for a long time.’ Someone else said he was seen somewhere in Ashgabat. I also received information that Boris was no longer alive: first such news came in December 2006, following the death of Saparmurat Niyazov. Several people I personally knew before came to me and said, ‘We do not want to sadden you, we are sorry, but we have information that Boris passed away three months prior to Niyazov’s departure.’ I was later given several more dates [of his purported death]. Of the latest, I was told that Boris passed away in 2012 and supposedly people with knowledge [about the matter] recommended I mark December 17 as his death date. Why did you file a lawsuit against the foreign affairs ministry? “I complained against their inaction. After Boris’s chilling “confession testimony” and that “trial” shown on TV, I did not know what to do and who to ask for help. But everyone I talked to about the matter said that the only organization able to help me is the ministry of foreign affairs of Russia. My husband was the minister of foreign affairs of Turkmenistan and was personally acquainted and maintained friendly relations with all then-active foreign ministers: Andrey Kozyrev, Yevgeniy Primakov, Igor Ivanov, including Sergey Lavrov, then-head of the Russian mission to the UN. I wrote an electronic message to them in the first place. I was hoping to get their support and thought that they would at lease advise me. No responses followed. I wrote and wrote… for three years. Then I decided that I needed put together a packet of documents and confirmations of my correspondence. So, since 2006, I started sending regular, almost monthly in the beginning, inquiries addressed to the minister of the Russian foreign affairs, the foreign affairs ministries department of the CIS, the Russian embassy to Turkmenistan. I did not receive any, even formal, responses in the first two years. Only after I started writing letters to [then-President Dmitriy Medvedev’s] administration and my complaint was referred to the foreign affairs ministry, I started receiving responses from the ministry. But they all were the same: the foreign affairs ministry would inquire from the Turkmen side [about my husband], and the Turkmen side would remain silent. I received the last response to that effect in December 2013. How did Boris Shikhmuradov’s non-citizenship issue arise at the court in the first place? Did he renounce the Russian citizenship? “When, all of a sudden, they told court Boris does not hold the Russian citizenship, I was not just surprised, I was rather shocked. Did Boris accept the Turkmen citizenship? “The Supreme Court of the Russian Federation ruled in 2003, “The passport of a citizen of the USSR that establishes the identity of a citizen of the Russian Federation shall be considered valid until it is exchanged for a passport of a citizen of the Russian Federation in appropriate terms.” No specific terms for exchanging the Soviet were established by bylaws, so one could exchange it even now. “As far as I know, [he has] not. [An intergovernmental agreement between Russia and Turkmenistan allows for dual citizenship – editors.] He was given a Turkmen diplomatic passport to work as a minister of foreign affairs of Turkmenistan. I know that when our diplomats would gather in informal meetings, the Turkmen foreign affairs minister’s Russian citizenship was always brought up in friendly jokes among them. Boris did not have an internal passport of Turkmenistan; he had our Soviet passport. I do not know where that document is now; perhaps he had it with himself when he was arrested. In May 2001, Boris was given a Russian passport for traveling abroad; the document was issued in Moscow, Russia and indicated his citizenship as Russian. 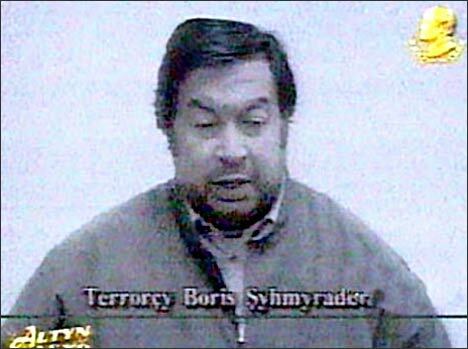 In November 2001, Boris resigned from his post and stated that he was joining open opposition to Saparmurat Niyazov’s regime. While his Turkmen diplomatic passport was cancelled the very next day, Boris traveled to Turkey, Europe and the USA with his Russian travel document throughout 2002. The Federal Migration Service confirmed in 2003 that Boris held the Russian citizenship, in response to an inquiry by Gosduma MP Vyacheslav Igrunov. Article 4: A citizen of the Russian Federation shall not be deprived of Russian Federation citizenship or of the right to change it. Article 7: The citizens of the Russian Federation who stay outside the Russian Federation shall be granted the Russian Federation's defence and protection. Article 18: Citizenship of the Russian Federation shall be terminated as a result of surrendering Russian Federation citizenship. How did the foreign affairs ministry defend its position? “The representatives of the foreign affairs ministry simply did not participate in the initial stages of the trial. I insisted they must be present and solicit the case in their hands on Mr. Shikhmuradov. I have also lodged a motion to acquire information on Mr. Shikhmuradov’s citizenship from the migration service. I clarified that this fact had to be established for a correct resolution of the case, since we only have information that he had a passport of a USSR citizen. The judge overruled my motion. “However, only five sessions later, when an attaché of the foreign affairs ministry showed up at court and lodged a similar motion that was approved by the judge, everything became clear. In other words, the court and the foreign affairs ministry conspired and established a scheme to deny Tatyana’s request. The trial was reminiscent of a battle against windmills. It has been a long time since I have last seen such boorishness and unprofessional behavior at court and experienced so much aggression on my person. Will you appeal the verdict? Lawyer Karinna Moskalenko characterized the claim that Mr. Shikhmuradov is not a Russian citizen as “utter cynicism” and told Fergana that in case her appeal is unsuccessful, she would lodge a complaint with the European Court of Human Rights (ECHR). “The life of a Russian is a subject of special care by the Russian authorities,” Karinna Moskalenko says. “If a Russian’s right for life is under a threat, the Russian authorities are obliged to protect this life. Referring to this or that person’s lack of Russian [citizenship] is utter cynicism. “I do not like analogies. Mr. Bukovskiy is one case, while Mr. Shikhmuradov is a different one. But both [cases] are a manifestation of the Russian state’s so easy renunciation of its own citizens… Speaking of Boris, a different disgracing story comes to mind actually. The notorious Garabayev case, which Anna Savitskaya and I were able to win in the ECHR. [In 2002, Murad Garabayev, the former accountant of the Central Bank of Turkmenistan, was extradited to Ashgabat upon the decision of then-Prosecutor General Vladimir Ustinov. However, the ECHR’s involvement revealed that the extradition was illegal, because Mr. Garabayev holds dual Russian-Turkmen citizenship. He was returned to Moscow and put in the Lefortovo jail – editors.] Mr. Garabayev was extradited to Turkmenistan, where he was subjected to horrifying torture in jail. To justify their actions, following an emergency communication with the European Court, the Russian authorities – attention! – arranged for a divorce of Mr. Garabayev from his much beloved wife in a Turkmen court to prove he is not a Russian citizen. This was purely absurd for two reasons: 1) the poor spouses did not even have an idea that their marriage was dissolved based on forged documents in Turkmenistan, while they were enjoying a love-filled life in Moscow; 2) this “divorce” did not salvage the disgraceful position of the Russian authorities, who had no right to even arrest Mr. Garabayev for extradition, because a Russian national may not be extradited to a different country, which is clearly stated in the Constitution of Russia. [Ironically] the Russian authorities immediately recall this provision when someone is asked to be handed over to the United Kingdom for questioning in regards with the murder of Aleksandr Litvinenko there. In this case, the Russian authorities are quick to recall constitutional rights and guarantees [the Russian citizens enjoy]… What disgusting hypocrisy! The case of Boris Shikhmuradov is on the agenda of the UN Working Group on Enforced or Involuntary Disappearances. “Working Group regularly inquires from the Turkmen side, and keep this issue on their agenda,” Tatyana Shikhmuradova says. “But, like in the case of inquiries the [Russian] foreign affairs ministry submitted, no responses are issued. “In April 2011, I lodged a complaint with the UN Committee on Human Rights, complaining on the Turkmen side’s violations of a number of articles of the Covenant on Civil and Political Rights. The consideration process is a lengthy one. The Committee must make several inquiries from the Turkmen side, wait for some time provided for [receiving] an answer… I have recently received a letter, reading that my complaint would be considered in one of the immediate sessions of the Committee, and the Turkmen side will be absent,” Mrs. Shikhmuradova says. The name of Boris Shikmuradov is included into the list of victims of the Turkmen regime, which was filed members of the Show them alive! international campaign. The campaign was launched a year ago and aims at drawing the attention of international organizations, governments and the general public to the fact that numerous people in Turkmenistan are unaware of the fate of their convicted relatives and next of kin for over a decade. Rights advocates demand Ashgabat provide information on the fate of these convicts, their whereabouts and allow their relatives to contact them. “I was always surprised and continue to be surprised that neither the foreign affairs ministry nor international organizations possess efficient tools to influence the Turkmen side. Yes, they do send inquiries to Ashgabat and adopt resolutions, including those via the UN and the OSCE, but they [Ashgabat] remain silent and nothing can be done about this,” Tatyana Shikhmuradova says. Twelve years will have elapsed on November 25 since the so-called attempt on the life of the former Turkmen President Saparmurat Niyazov. It is still unclear what actually happened in Ashgabat on that day. Rumor has it a truck blocked the president’s cortege. Rumor has it a rally was planned near the parliament. Eyewitnesses and those who believe they were aware of oppositionists’ intentions claim that nobody was planning to assassinate President Niyazov. And that statement is a convincing one: it would be impossible to hope for recognition as a legitimate power after such a theatrical assassination of an incumbent ruler. Rumor has it some wanted to take President Niyazov to the parliament and force him to step down, and then have elections. However, ambiguities are abundant; lack of trust for Turkmen official media only contributes to the overall confusion. All “evidences” are derived from confessions extracted under torture. Holding a new independent investigation is impossible either, because the Turkmen side would not allow. It is impossible to even find out whether those convicted for the alleged assassination attempt are alive or not. America was able to get Leonid Komarovski, a US citizen, out of the Turkmen prison after he was convicted as part of the same case. The Russian foreign affairs ministry not only failed to save Mr. Shikhmuradov, but also failed to find even one opportunity to come to terms with Ashgabat regarding the case and was unable to even obtain a piece information about him. So much for the “Russia does not leave its people” claims… Indeed, the Russian foreign affairs ministry decided to completely disown one of the citizens it is established to serve.